It will be my one year anniversary with my most amazing husband and friend on Thursday! This photo is from our wedding day, and makes me think of the (sometimes crazy) journey we took to find each other and the many wonderful journeys we will take together in the future. Yes, that's Willow on the left! We are musing about a different word each day until January 1st. Add your holiday photos to the flickr pool and head over to Mortal Muses for daily link ups and amazing giveaways! And since it's Sunday in Australia, I am linking up with Shadow Shot Sunday now! Happiest anniversary to you. Love this shadow shot....especially because Willow is in it too. Terrific LONG shadow shot, love those! Congratulations and Happy Anniversary! Have a wonderful weekend! yay! happy anniversary! this photo is so cool! What a delightful wedding photo. Happy anniversary and happy SSS! I love this shadow portrait - have a happy anniversary!!! Beautiful post, and a very happy Anniversary to you!! PS....have a wonderful day celebrating. Happy Anniversary! Your wedding photo is so very touching! 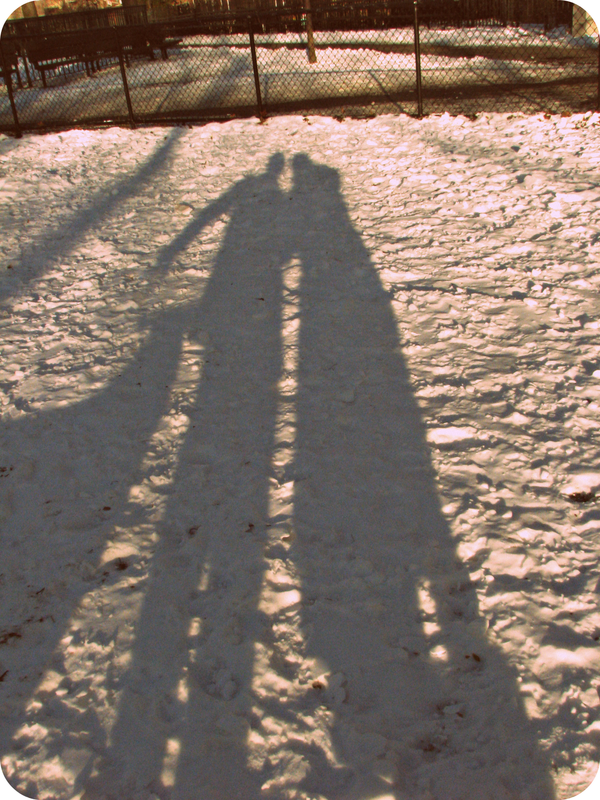 a shadow that is so clearly about love merging into oneness...beautiful! Happy anniversary. Love it! Happy Anniversay!!! What a great photograph. What a wonderful memory to be able to share years from now. I love that Willow is included. That makes even more special. Congrats! I was going to ask if that was Willow then read the caption...very sweet!